THE memorial service for the late MDC Alliance leader Mr Morgan Tsvangirai has been set for February 14 but his former deputy Dr Thokozani Khupe is unlikely to attend amid fears over her security. Mr Tsvangirai died of colon cancer in February last year. He was buried at his rural home in Buhera. The Tsvangirai family has invited Dr Khupe for the memorial service. She was manhandled by rowdy MDC Alliance youths when she attended Mr Tsvangirai's burial last year. 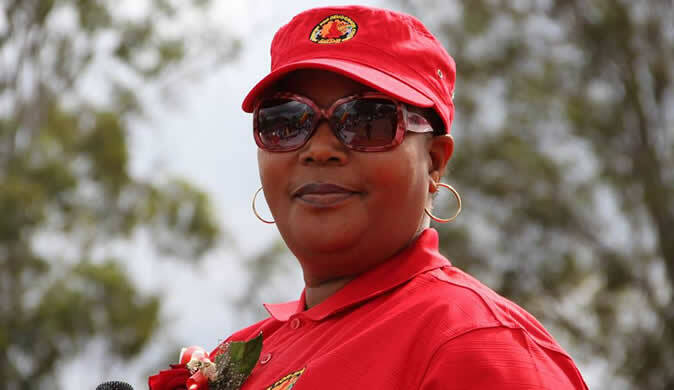 MDC-T spokesperson Ms Linda Masarira confirmed that Dr Khupe had been invited. She said the party was worried over her security if she attends. The Tsvangirai family has pledged to provide Dr Khupe maximum security. "At the funeral there was police presence yet violence occurred. We are not sure what kind of security measures they have in place that will curb violence in case it happens again considering the violent nature and intolerance of our erstwhile Cdes," said Ms Masarira. She said the MDC-T was yet to come up with a position on the matter as Dr Khupe was away on holiday. MDC Alliance spokesperson Mr Jacob Mafume said the family was handling the matter. "Yes we will attend the memorial service for our leader. What we will have are people who love our leader. We will cooperate as usual with the family to ensure that the event is a success in whatever way they might want from us," said Mr Mafume. Family spokesperson, Mr Manase Tsvangirai, brother to the late MDC Alliance leader, confirmed February 14 as the date for memorial service. "Yes that is true but get hold of me next week after we have met as a family to finalise all the preparatory work," said Mr Tsvangirai.